We may collect information about your computer and your visits to this website such as your IP address, geographical location, browser type, referral source, length of visit and number of page views. We may use this information in the administration of this website, to improve the website’s usability, and for marketing. For this purpose we use Google Analytics. Newsletter Subscriber A registered user is added to our Newsletter Subscribers database when he/she chooses the “Yes. 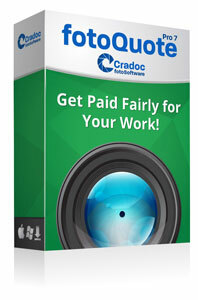 I want to subscribe to the CradocfotoSoftware newsletter” on our registration page and enters their contact information. After completing our registration process which involves clicking an activation link sent to his/her email account the user becomes a Newsletter Subscriber. Our email communications with our Newsletter Subscribers is based solely on their permission. 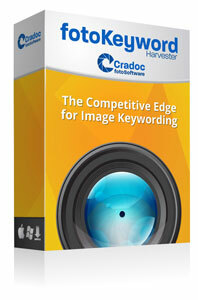 CradocfotoSoftware does not send spam – ever. The goal of our existing email communications is to inform our Newsletter Subscribers of the new software releases which are published on a regular basis. Our Newsletters include the links to our new products, information about promotions and latest news from our industry. We may cooperate with other businesses that target similar audiences as ours – they send our newsletters to their opted-in subscriber base. We are very careful about the antispam practices of these businesses and never cooperate with companies that are outside the scope of our audience or our industry or which have an unclear Antispam Policy. currently. 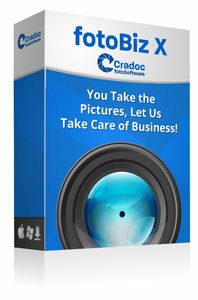 •	Sending a message to your email box with the link to download software at CradocfotoSoftware. •	Sending you invoices for each completed transaction on our website. •	Sending you emails concerning technical, legal and support matters. Please make sure you do not flag CradocfotoSoftware as ‘Spam’ or ‘Unsolicited’ in your email application. When you register and do not find an activation email in your inbox, check your spam folder. You may instruct us not to process your personal data for marketing purposes. In practice, you will usually either expressly agree in advance to our use of your personal data for marketing purposes, or we will provide you with an opportunity to opt-out of the use of your personal data for marketing purposes. You can also instruct us not to use your personal data for marketing purposes by email (to support@cradocfotosoftware.com) at any time. This website does not take your credit card or payment details. All payments and financial transactions are managed by our payment processor – BlueSnap – which is fully compliant with all GDPR Policies. To see their policies click here.